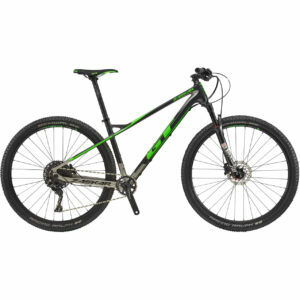 The GT Sanction Pro is an alloy frame enduro mountain bike that dominates downhill in spine tingling fashion. With input from top enduro rider Martin Maes, this 27.5 inch bike is made to go fast and help you beat the clock and opponents in training or on race day. It all starts with the lightweight alloy tube set, made from 6069 T-6 Alloy, with independent drivetrain suspension and GT’S COR Enduro Design. 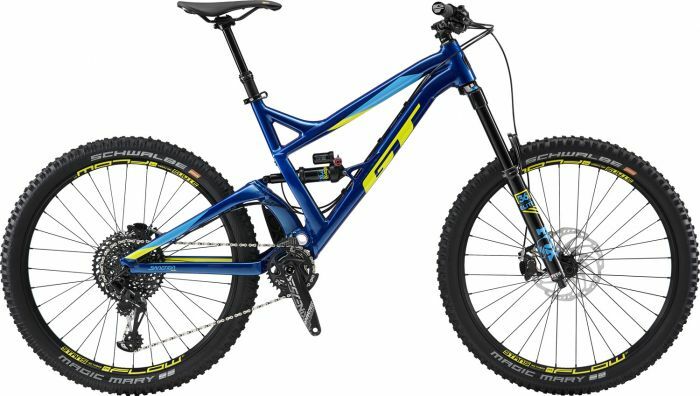 To handle the downhill, the Sanction Pro has been equipped with the FOX Performance Elite 36 Fork with 170mm travel and the impressive Fox Float DPX2 Evol shock so that you can speed down the toughest slopes. SRAM have taken care of the drivetrain with a 12-speed Eagle drivetrain, in conjunction with Shimano Deore XT disc brakes for unrivalled control even when you and your bike are stretched to your limits. While the ultra grippy Schwalbe Magic Mary Performance tyres offer an optimal blend of speed and grip so that you can be confident in your ride and know you can get to the bottom with ease. The GT Sanction Pro is an unrivalled enduro monster that excels down the steepest and most technical downhills. This bike doesn’t sacrifice anything, and it all starts with the frame. 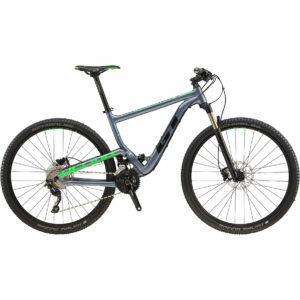 The reliable alloy frame is matched with an excellent suspension via the FOX fork and shock, while the 12-speed SRAM drivetrain is a revolutionary industry leader. 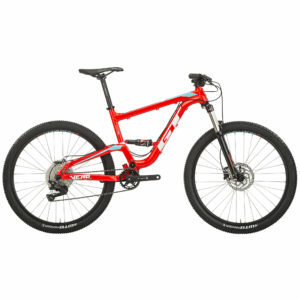 Grab this bike for hours of high performance and fun while you battle your mates on a friendly ride or even on race day.